Financing your vehicle is an easy way to drive your next Toyota home to your front door while staying on budget. When the time comes to buy the used Toyota Corolla you are dreaming about, you may want to know how your credit score will affect your finance rate. That’s why our team of finance associates is here to provide you with answers. At Toyota of Elizabeth City in Elizabeth City, North Carolina, you can speak directly to a financial expert who will guide you through the financing process. We want to help you drive home in the Toyota car, truck, SUV, or Hybrid you love. So, visit Toyota of Elizabeth City and chat with a sales associate today! A routine service schedule is paramount to preserving the correct operating condition and enjoyment of your vehicle. The next time you are due for an oil change, brake service, or tune-up, schedule service through our website or call us directly. You can enjoy our host of amenities while you wait. We offer free WiFi, coffee, and bottled water as well as a TV room and children’s play area for your comfort. Maybe you don’t have time to wait. In that case, our local shuttle service can take where you need to go. We also offer Mobile ToyotaCare Service Vehicle in case you need a loaner vehicle. We have the experience and training to repair every part of your Toyota from headlight to taillight. Our team of experts uses genuine Toyota parts on your car or truck, so you know that your vehicle meets Toyota’s standard for quality. 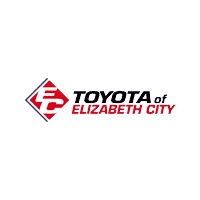 Toyota of Elizabeth City is excited to help you with all of your automotive needs.